Exercise and allergies, just in time for the pollen to arrive. Springtime is arriving in our area, which means warmer weather, blooming flowers, green grass, and, for many, seasonal allergies. If you suffer from seasonal allergies, you may want to know if it is safe to exercise outdoors. The short answer is yes, provided you take the right precautions. This is the topic of my Health & Fitness column in the Aiken Standard this week. Diagnosis and treatment of heart disease explained. Focus on flexibility: why stretching should be part of your workouts. Endurance (aerobic) exercise will improve your cardiorespiratory fitness and endurance. These improvements allow you to exercise at a higher intensity or for a longer duration. 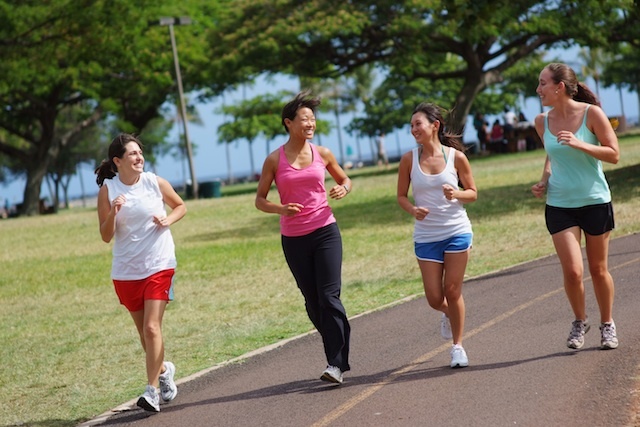 Aerobic exercise like walking or jogging is also effective for burning calories. Ideally, your exercise program will include a combination of endurance and resistance training. But there is another type of exercise that you should also include—stretching. This is the topic of my Health & Fitness column in the Aiken Standard this week.